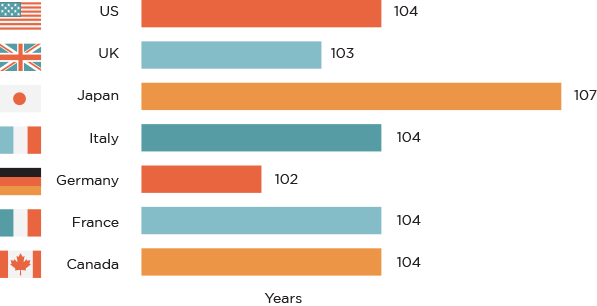 The majority of children born in rich countries today can expect to live to more than a 100. 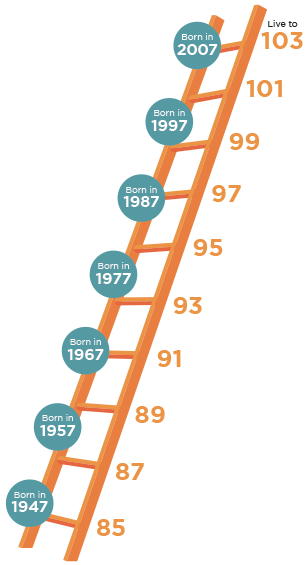 This increase in life expectancy has been happening for decades and yet we continue to structure our lives the way our parents or even grandparents did. Unless deep seated social change occurs then a longer life is a gloomy prospect making longevity a curse and not a gift. Our current practices are ill equipped to cope with a 100-year life. We either can’t afford to retire at the age our parents did or will have to work for so long that our mental and physical fitness as well as our enthusiasm for life could suffer. Individuals, companies and governments all have a role to play in ensuring we structure our lives differently so we can make the most of a longer life. 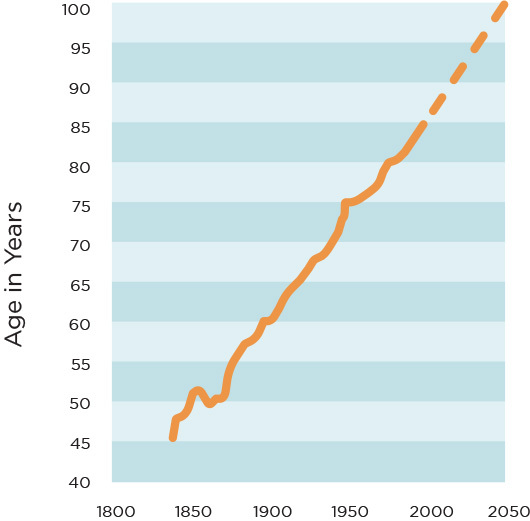 Oldest age at which 50% of babies born in 2007 are predicted to still be alive. Source: Calculated using data from Human Mortality Database, University of California, Berkeley (USA) and Max Planck Institute for Demographic Research (Germany). Availability at www.mortality.org. For an explanation, see ‘Broken Limits to Life Expectancy’ by Jim Oeppen and James Vaupel, Science, May 2002, vol. 296. If you are in your twenties or thirties you have a long stretch of time ahead to shape differently. If you are in your forties, fifties of sixties then you need to reconsider your future and think about how you will reinvest in the second half of your life. Failure to innovate in response to a longer life will mean stresses and strains in your life as existing models are stretched uncomfortably over a 100 years. The hundred year life has happened because over the last two hundred years, across every decade, life expectancy has increased by two or three years. That’s like discovering at the end of every day you have been given another eight hours! To make longevity a gift we believe nearly everything will change – the outcome is nothing short of a social revolution affecting everyone. How we work, how we gain our education, who and when we decide to spend our lives with and when we have children, how we spend our leisure time, the role of women in society will all see profound developments. The current three stage life of education, career and retirement will be replaced by a multi stage life with new stages, new ages and with the potential for much greater individualised sequencing. The challenge is the absence of role models so most of this will have to be invented as we go along. 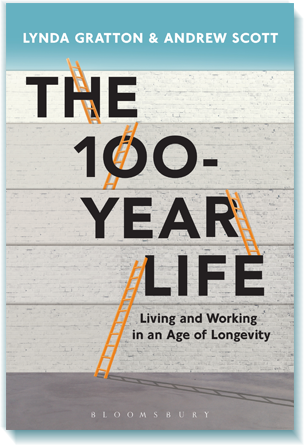 The 100-Year Life: Living and Work in an Age of Longevity brings clarity about the choices that you need to make in the age of longevity. We see this reshaping of life in response to longevity as similar to the deep seated changes brought about by technology and globalisation. So profound and widespread are the changes that the stakeholders are many. The first responsibility is of course ours as individuals. We have to make choices about what we each do and how we structure our life. No matter how old you are you need to start doing things differently and adapting to a longer life. 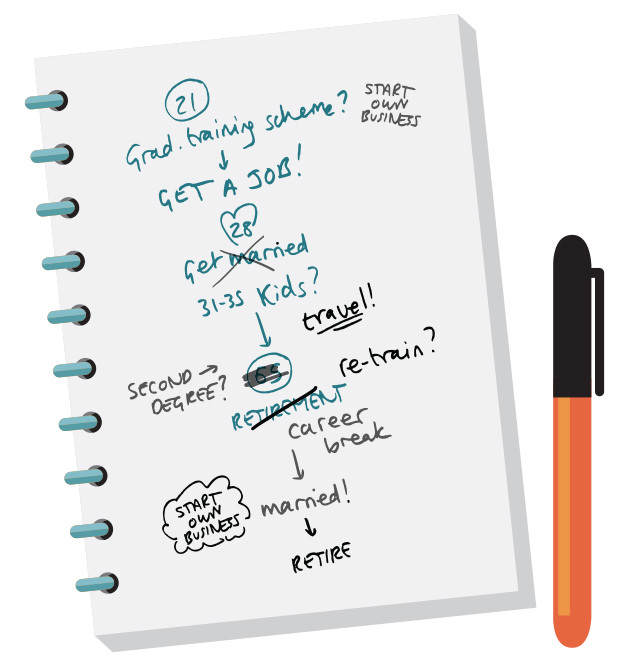 Ultimately it is your responsibility to plan your life for the long run. One pressing challenge will be financing a longer life. If we live for longer we need to invest more in our financial assets to support a longer life. 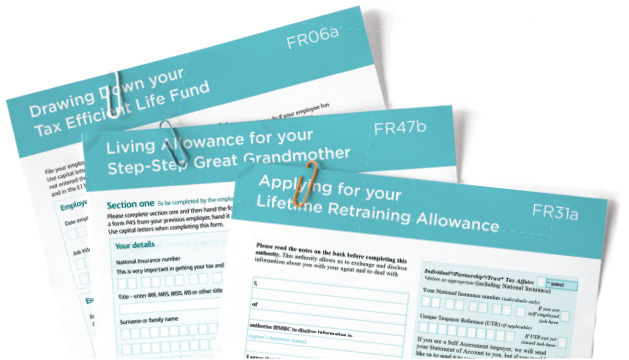 However a longer life is not just about getting the finances right but also about making sure you invest in your health, your families and friends and your own productive abilities. A longer life will lead us to reassess how we balance these financial and non- financial forces over our lives. The difficulty we have is that because everything needs to change we can’t rely on the role models of the past. The career paths and life decisions that worked for our parents won’t work for us. You will need to make different choices than your parents and your children will make different decisions to you. Much corporate practice is predicated on the assumption of a three stage life with a career stage involving a deep commitment to work in order to achieve financial success. In a multi stage life only some stages will be based around a deep commitment to work and with different career paths to sequence in different ways, age will no longer be a simple predictor of motivation. With new stages emerging firms will have to reconsider the work-life balance that they offer to different groups. Graduate recruitment practices, learning and development policies, pay and performance assessment will all need to be transformed in the wake of a 100 year life as firms recognise that over a 100 year life any one specific firm or industry will play a much reduced role in our lives compared to the recent past. When so many of us are living for longer, social structures will need to change and individual experimentation will need policy and legal changes to be effective. To date governments have focused just on end of life problems such as the rising costs of medical care and pensions. However, with a longer life everything is affected at all ages. Governments need to urgently shift their attention to think about all ages and move towards lifetime measures rather than age specific policies. This is not just about pensions but also about education, relationships, families and households and career breaks. An equally large agenda is to ensure that all of society can benefit from a longer life. 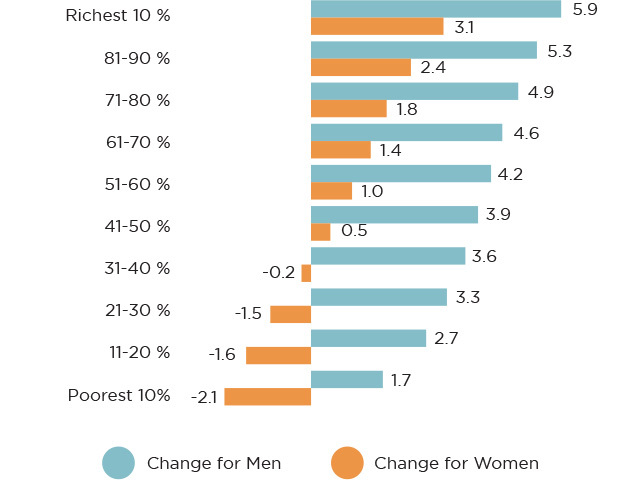 Currently the poorest members of society do not have a 100 year life expectancy and this needs to be addressed. The concern is also that whilst those with money and education can support a multi stage life those less fortunate may face the prospect of a long life being a curse and not a gift.